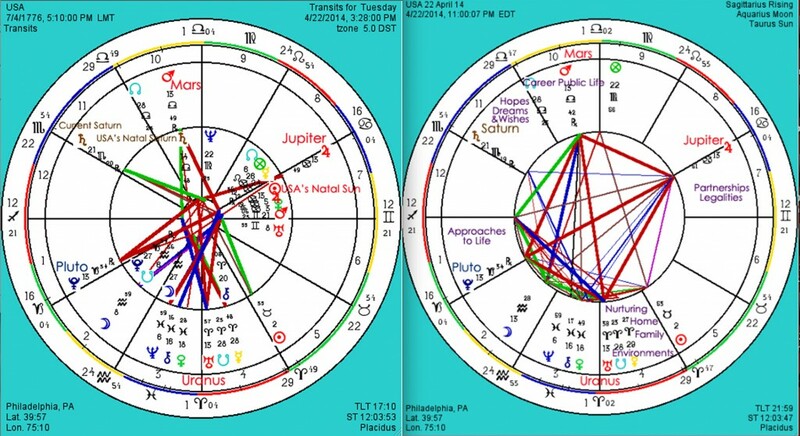 This is the “preview show” of what the USA can expect moving forward as the Grand Cardinal Cross alignment with our Leadership signs occurs over the dates surrounding 22 April 2014. Center Wheel is the Natal Chart for the USA. Outer is the here and now upon 31 January as Venus is about to go Direct. Note Jupiter, conjunct now on the USA’s natal Sun at 13 deg Cancer, of which the current transit of Venus and Pluto are in direct opposition of in Capricorn. Venus has tried her best to bring in the understanding necessary over her review and redo period from 21 December 2013 to 31 January under Returning to Responsibility, Venus Retrograde in Capricorn to what value the USA has to recognize in order to change it’s approaches to life across the board. In the amazingly close quarters to Pluto right now, the death and birthing process is beginning to show itself stronger than ever before. As with all vibrations of the 4, what you resist, will persist. Those who rise up and start digging the new earth up for humanities needs will prevail soundly through this upheaval to come. It is profound the calling for selfish behavior to cease, for those who remain within it will see the most intense destruction in history. Applying this to the political landscape, and it is more than evident why the times ahead in this country will not be the easiest to witness. Remembering to remain centered in your personal space, mission and truly coming from a place of power that is birthed within the state of grace: this is how dominion will be granted to anyone as we move forward within 2014. Never before in history has there been such a calling to let go of what no longer works, allowing the TRUTH to HURT, and witnessing how much it will set you free. When anyone in the world chooses to stop fighting, complaining, and blaming- and stand up in their human experience as a spiritual being of accountability to truly find the concern to be in solution seeking mode, they will have such a powerful NOW on their hands that they OWN and that my friends, is a victory we all will be guaranteed to have WON. Brightest Blessings in Abundance. Namaste. The time has come to welcome all Americans to the country’s new 8 Personal Year Cycle. We’ve been asked over the past year within the 7 Personal Year of 2012, to take some necessary time to sharpen the inner saw as a nation, with the grand final of the ongoing Mercury Retrograde in Cancer to send this reflective call home loud and clear. Since 04 July 2012, a routine of sharpening the inner saw and healing was required by the USA to listen to that silent voice within for the answers. As a nation, this time in quiet and retreat wished to prepare us to be ready for the upcoming required work of responsibility. Now entering the 8 Personal Year promises to present the opportunity to Americans to take up within the true act of learning from the experience, adhering to stability, practicing patience and using our recently acquired wisdom to now reap the rewards and the harvest of our previous seven years of effort as 2013’s cycle initiates. There is a specific formula to follow in a 8 Personal Year which requires that the inner work of the preceding 7 Personal Year has been done. 2012 to 2013’s call to reflective action is part of all the groundwork planted and woven into the fabric that has been in the making since 04 July 2006, when we were back in a 1 Personal Year, the beginning mark of this current 9 year span of time. For the USA, what’s ahead in this year of progress from 2013 to 2014, has everything to do with the deepest sense of getting into an ambitious, and yes, we’ll keep repeating this over and over again: a patient mind set. In fact, as we explore the true request of the entire 17 The Star of the Magi’s energy governing over 7 + 4 + 2 + 0 + 1 + 3 = 17/8, we’ll find the Chaldeans will lend us some fairly accurate advice in their ancient understandings to our entire nation if the free will only chooses to adapt to the practice of Love and Peace. As a Personal Year Cycle, the 17 will do one or two things depending upon what the free will’s actions of the previous seven have already allowed to fall into place. While, yes the promise of a harvest, recognition, and reward are the natural positive results that prefer to unfold in an 8 Personal Year cycle, if you look at the events that the nation saw unfold with the 16’s The Shattered Citadel, there was a tremendous calling for the USA to wake up and smell the coffee. From what was witnessed between nature’s destruction to human unkindness that asked for anyone to take up in that SILENT LISTEN, the question now is proposed: is the nation ready to tackle all it has to in 2013 to 2014 with the intention and practice of Love and Peace? Undoubtedly, the months to follow will bring in quite the lessons still needing to be learned, as always is the case in an 8 year, because of Karmic Saturn’s influence over it. Personal Years in the life guided by Saturn are much like having to listen to a father figure. Go against what he says and watch the acts of fate plummet to keep learning from the experience until that wisdom is acquired. What will be fascinating to observe is those who think that nothing has to change as they blindly follow the course of doing things the same way, but still believe they can change the end result they reap. This will be a year that those subscribing to this definition of insanity will come to their knees. When engaged in a 17 Personal Year, the practice of patience will aide every step of the way. While it may be easier said than done, there is no other choice but to tap into the knowing that Love and Peace can be attained, amongst any hardship Saturn may wish to bring. Remember Saturn is only a hard-core planet when we ignore his requests, and have not done the necessary work in order to receive his stability. Pay attention to his wisdom, and the harvest and reward is more than happy to be reaped. The singular energy of the 8 equally asks within the 17’s energy to take a good look at the self, and continue to remember to take time in reflection often so that the connections, rewards and legacy are rightfully able to enter the picture. Because of the strong spiritual presence backing up the 17, those based in sole material intentions will not find it to be so gratifying. Through the course of any 8 personal year, recognizing the slow and timely process, makes it worth whatever wait it entails. One way or the other, Saturn’s rewards will be through wisdom, knowing, and remembering how wonderfully slow and steady wins the race. Those who remain in resistance, will attract the lessons then needing to be learned, and soon will discover these are ones they could have otherwise avoided. Another call to listen up to that recognizes the value of a patience pace to allow proper changes unfold comes into this USA forecast via astrology, as the ‘Uranus – Pluto Square Dance’ continues on for a couple more years. 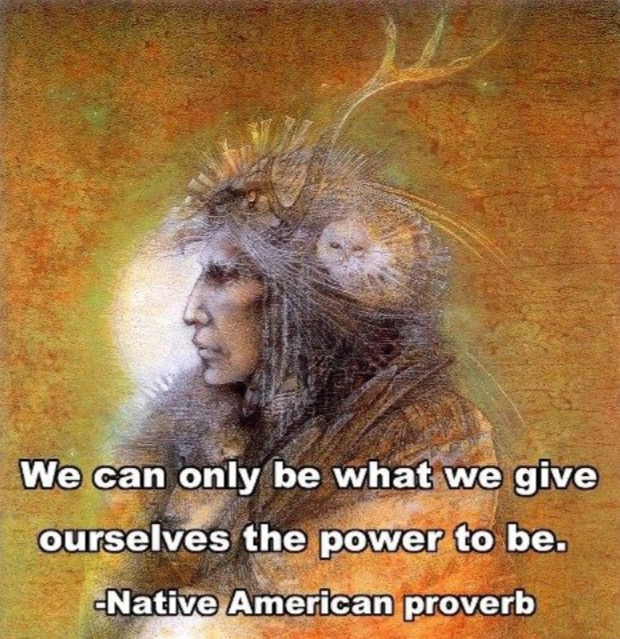 As we have already bared witness to the beginnings of an entire new global foundation in the midst of formulating- this entrance of the USA into the 17/8 Personal Year asks for anyone to recognize their responsibility to truly adapt to those unexpected ways transformation is affecting us. While reform and regeneration continue their call for years, this current Personal Year Cycle of the 8 will not be kind to Americans who refuse to work through what can be a rich harvest when that patience is practiced. Comfort zones will see their fair share of CHALLENGES. It’s up to the free-will whether resistance will be a part of that ALL CHANGES SEE ANGEL ANGLES HEAL, LEAN AS A SAGE CLEANSE. 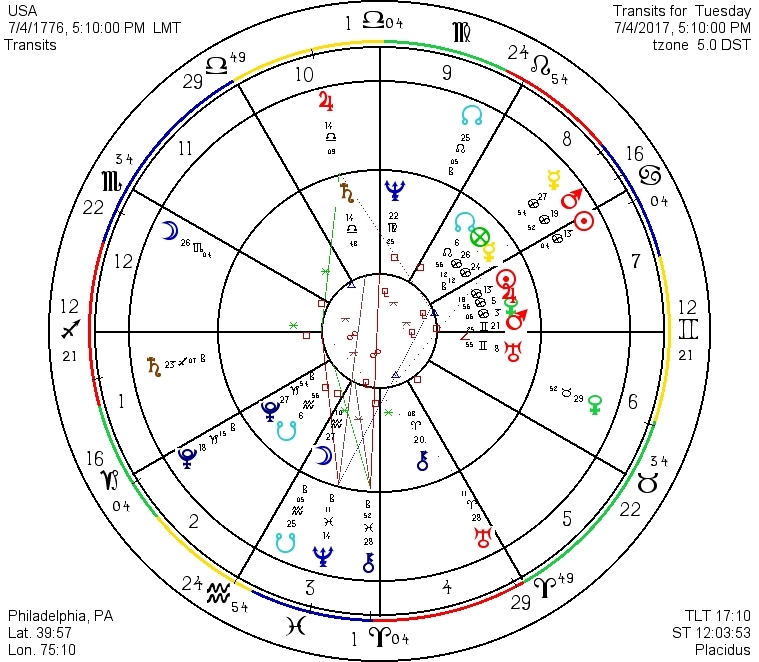 Specifically for the USA, the Uranus – Pluto Square Dance affects our 1st and 4th houses on our natal chart- that of our I Am of approaches, first impressions, including the way the world perceives us and within our I Nurture of home, family, and immediate environments that filter through our lives. We aren’t kidding when we have been saying the approach to the comfort zones of American life are in a very heavy place of transformation, and these have been occurring rather unexpectedly. This is the most intense concept to grasp between these two areas, as when squares occur from above they do mean responsibility to soul business to them down here below. It won’t be until February 2015, when the USA will then be in the 9’s Personal Year request of ultimate finalizations and endings on the home front of this Current 9 Year Cycle which began in 2006, that the truest test of our on going Uranus – Pluto Square Dance will bellow its call. By this time, at the 14 degree of Aries and Capricorn, directly opposing and squaring our nations Saturn at 14 degrees Libra in our house of I Structure, that of the career and public life. Undoubtedly, the face of how we work, are viewed by the world, live in our habitats, feel secure, nurture our environments and take it all in will have seen altercations like never before in history, and very permanent ones. So, back to that soul business we mentioned. In order to be ultimately prepared throughout the remainder of the Uranus – Pluto Square Dance, we as a nation can successfully prevail. It will be the attainment of the very inherent reminder of our now 17 Personal Year promises the result of Love and Peace, but this comes by slowing things down, taking pause, and being ever vigilant to not looking at the call for change as punishment, but a necessary part of how we are all here to embrace what it really means to EVOLVE through the habit of LOVE. Those who especially abuse authority, positions of power, and engage in greed- will find these to be the hardest lessons to survive. One more point to note when understanding the true advice of how a Current Personal Year Cycle coincides with that of the natal chart. Where the guiding planet of the numerological year is currently transiting within the birth chart leans more advice to how to make the most of it. For the USA, the 8’s Saturn is presently within the natal 11th house of I Socialize that which governs friendships, groups, organizations, hopes, dreams and wishes. Our recognition here within what we are associated with will be thoroughly examined for its’ authenticity under the 17 Personal Year in order to receive any rewards. Even via the collective take for the USA, it is the 5th house of what I Create that seeks more attention that wishes to be accountable for when it comes to the country’s creative abilities, especially those relating to our very own children. With the critical detachment from inspiration within our country’s public education system, it is our children who are suffering, as the illiteracy rate is the highest it’s been in years. This call to responsibility screams for a stable solution to be implemented. So Fellow Americans, are you ready? We offer one final piece of star secrets wisdom for our country’s New Year in 2013. Via Lexigrams -the poetic phrasing of the anagrams that can be derived from any word, name or title to spell out its’ truth- aside from that ever so important request of the SILENT LISTEN, let us all find the time for our soul in some scheduled Saturn proven practices to receive our rewards. Happy Independence Day, and Much LOVE to EVOLVE Dear American Stars.